Our June table & 6 chair set in White will turn any garden into an idyllic outdoor seating and dining area, perfect for entertaining guests. For a time-worn effect that remains strong throughout the ages, pop on over to the June in Antique Bronze, or its charming sister in Slate Grey. 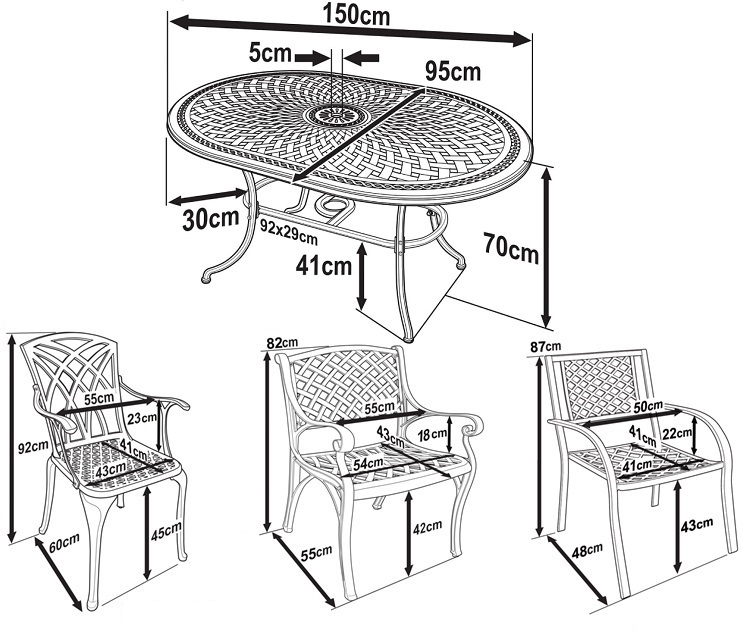 Trust in Lazy Susan to provide you with high-quality aluminium garden furniture that will not rust, or rot even in extreme weather conditions. Over the winter months your table can be safely left outside without any coverage, and it will remain as good as new. Enjoy no maintenance garden furniture with Lazy Susan. We are very happy of our purchase. We already bought the same set for a different house in Italy four years ago and have been fully satisfied, so we ordered one more. Chairs are very comfortable (we bought cushions well at that time, but never even unpacked them!) and the set is simply beautiful. Highly recommended. Ordering the tables, chairs and cushions was very simple with the help of ***. He was most efficient and polite. The goods were very well packed and arrived as promised. 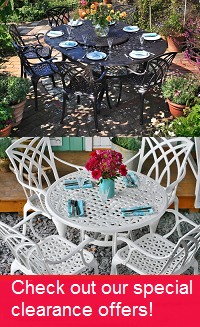 This beautiful and very well made furniture has greatly enhanced our already lovely garden. We would certainly recommend Lazy Susan service and goods any time. Friendly & competent > Highly recommended! Special wishes possible, prompt delivery and high quality. Good product not as robust as i would have wished the description was of the mark when placing the order. Helpful staff, patient and professional. Delivery was prompt.